If you want to travel to Everest Base Camp, you need to have necessary Everest Travel Permits in advance. 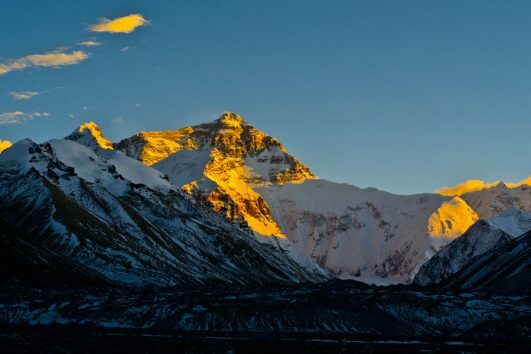 Here Tibet Travel Expert introduces all permits you should apply. As with other parts of Tibet, Everest Base Camp asks for Tibet Tourism Bureau (TTB) Permit for every foreigner. So you should confirm with us early to secure the permit. Tibet Tourism Bureau (TTB) Permit is the entry permit of Tibet, so it is the must for any part of Tibet for foreginers’ travelling. This is the travel permit for foreigners who want to visit places besides Lhasa, Shigatse and Gyantse. Our tour guide will apply it for you once you arrive in Lhasa or Shigatse. Since Everest Base Camp is near the border between China and Nepal. So we need to apply Border Defense Permit.